There's a ton of great open source hardware solutions out there. Often they're used to teach kids how to code, but their also fun for adults to learn about hardware! Ultimately that "LED Moment" can be the start of a love affair with open source hardware and software! 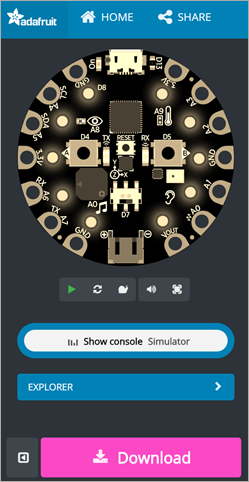 Arduino is great, as is Arduino talking to the Cloud! If that's too much or too many moving parts, you always start small with other little robot kits for kids. 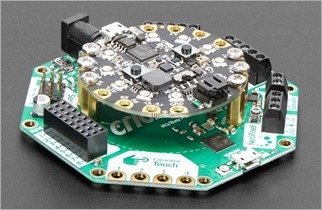 The Circuit Playground Express board is round and has alligator-clip pads around it so you don't have to solder to get started. It has as bunch of sensors for light, temperature, motion, sound, as well as an IR receiver and transmitter and LEDs for visual output. There's a million things you can do with it. This summer Microsoft Research is doing a project a week you can do with the kids in your life with Make Code! I think the Circuit Playground Express is excellent by itself, but I like that I can stack it on top of the AdaFruit Crickit to make a VERY capable robotics platform. It's an ingenious design where three screws and metal standoffs connect the Crickit to the Circuit Playground and provide a bus for power and communication. The 10 year old wants to make a BattleBot now. Sitting architecturally on top of all this great hardware is the open source Microsoft Make Code development environment. It's amazing and more people should be talking about it. 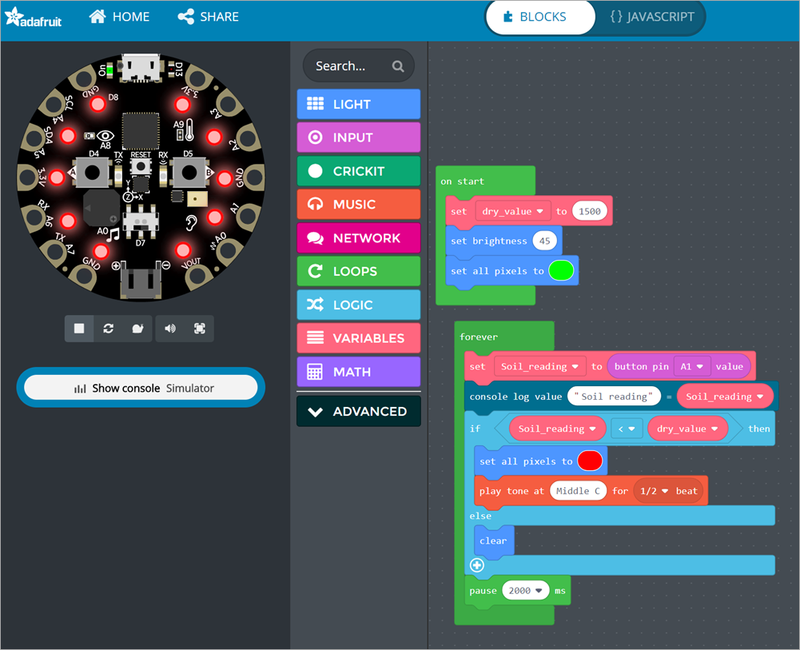 MakeCode works with LEGO Mindstorms EV3, micro:bit, Circuit Playground Express, Minecraft, Cue robots, Chibichips, and more. The pair of devices is truly awesome. Frankly I'm blown away at how easy it is and how easily my kids were productive. The hardest part of the whole thing was the last step where they need to copy the compiled code to the Circuit Playground Express. The editor is all online at GitHub https://github.com/Microsoft/pxt and you can run it locally if you like but there's no reason to unless you're developing new packages. When you've written your code, you just click DOWNLOAD and you'll get a "uf2" file. Then the hardest part, you plug in the Circuit Playground Express via USB, it shows up as a Drive called "CPLAYBOOT," and you copy that file over. It's easy for techies, but a speed bump for kids. It's really a genius process where they have removed nearly every obstacle in the hardware. After the file gets copied over (literally after the last byte is written) the device resets and starts running it. The "Developer's Inner Loop" is as short as possible, so kudos to the team. Code, download, deploy, run/test, repeat. When launched, look for a local drive labeled CPLAYBOOK and copy the uf2 file over to it. That's it. It speeds up the experience and saves me a number of clicks. Sure there's batch file/powershell/script ways to do it but this wasn't hard. Now I can just click my uf2 files in Windows Explorer and they'll automatically get deployed to my Circuit Playground Express! Otherwise, get the a little release here https://github.com/shanselman/MakeCodeLaunchAndCopy/releases and unzip the contents into its own folder on Windows, go double-click a UF2 file and point Windows to the MakeCodeLaunchAndCopy.exe file and you're all set! Cool post! Alternatively, you can use the CPX Windows 10 App, which will do the flashing on its own. 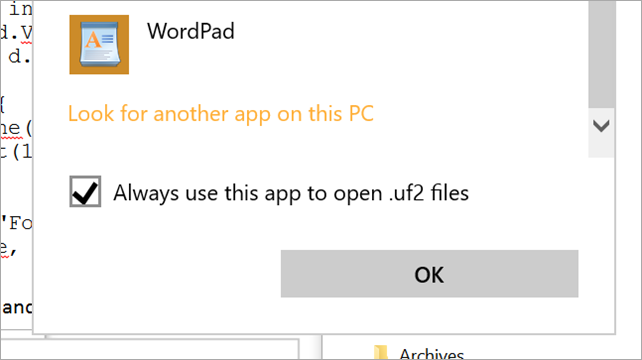 Instead of terminating after moving the file to the drive, you could have your app monitor the folder, so when you download a new uf2 file you don't need to double click it to deploy. Just an idea to speed up the dev loop a bit more. Joel - great idea! I’ll add a watch option! FYI, the makecode.com URL you link to is broken here in the UK, and possibly everywhere outside the US. makecode.com for me redirects to https://www.microsoft.com/en-gb/makecode?rtc=1, which is broken.